I have been blogging for five years now. In September of 2008, when I was a high school senior who fancied myself enough of a writer that I thought I should do it publicly (still not sure if that was a good idea), I started my first blog. It was drama-laden and iffy at best in the adjectives department and still exists if you really want to go there. But don’t think I’ll be providing the URL. Actual picture of high school me in an actual marching band uniform (I’m on the left). I look like such a baby. So naive about the ways of the world. I wish I could go back in time and warn myself not to take Intro to Statistics in college. 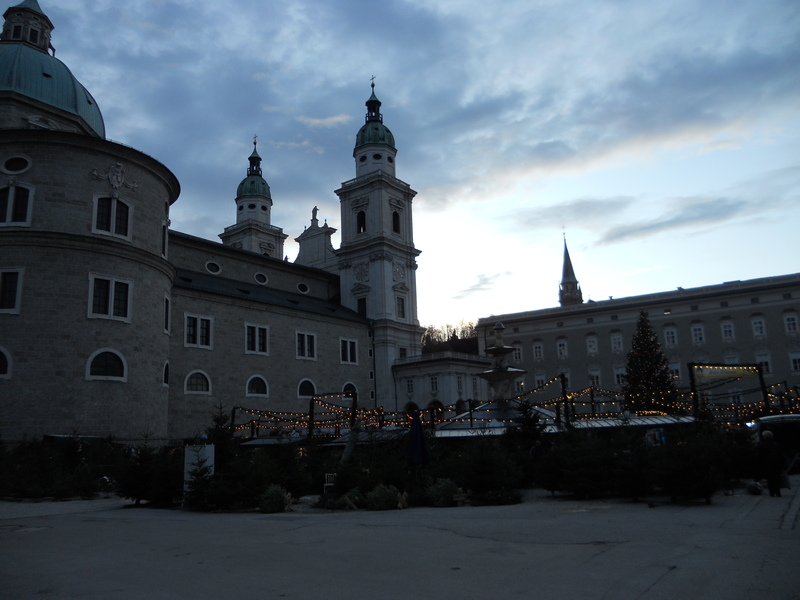 In September of 2011, I began my second blog upon departing for a semester in Salzburg, Austria. I only posted about a dozen times on that one, since I was, you know, living my grandest Sound of Music daydreams. In December of 2011, back from my travels, I decided that I didn’t want to return to the high school Blogger blog, and anyway, I had a new goal in mind: I was resolved to blog once a day, every day for the entire new year. Thus Eight Days a Week was born on WordPress. When that year ended I stuck around for another year, blogging about whatever struck my fancy. In September of 2013, I decided to start yet another blog. My last, I fervently hope. I have long wanted my blog to be its own website, to have a higher level of creative control, to have a chance to join blogging communities, and to interact with blog readers on a larger scale. Additionally, while the name suited my original project well, Eight Days a Week no longer describes what I’m trying to do as a blogger and writer. So, I’ve moved. One more time. Don’t think for a moment that this changes much. Goodness knows I’ll be writing the same goofy sagas and literary rants as always. Also, as I mentioned before, my posts from Eight Days a Week have transferred over to the new blog, so the gang’s truly all there. Although it’s not really goodbye, I want to take what feels like a solemn moment to thank all of you for reading, for following, for liking, for commenting. Thanks for not rolling your eyes when eye rolling was more than justified. At least, thanks for not rolling your eyes where I could see you. It has meant a great deal to have the support of fine folks such as yourselves. **Please note that if you’d like to continue to receive my posts in your email, you’ll have to resubscribe at my new blog (link above). I will no longer be posting on Eight Days a Week. I apologize for the quiet week posting-wise. I blame it on being between books; I began one, discarded it, began another, discarded it. I knew I wanted to read something, but couldn’t figure out what. I spent a great deal of time staring at my bookshelves, and the rest of the time watching mindless YouTube videos and scrolling through Pinterest. I was generally listless and uninspired and only wanted lukewarm broth with noodles when lunchtime rolled around. You know the feeling. Last night I finally settled on one: The White Forest, by Adam McOmber. It’s ethereal and mysterious and Victorian (three of my favorite qualities in a novel) and it’s just exactly what I’ve been craving. Today, thank goodness, my productivity levels are up again. I woke up at a respectable 10:00, put on some flannel, cleaned my room while listening to This American Life, and went out into the 53-degree world with blissful purpose. I mailed a care package to Amy, who is homesick over there in cheesehead land. 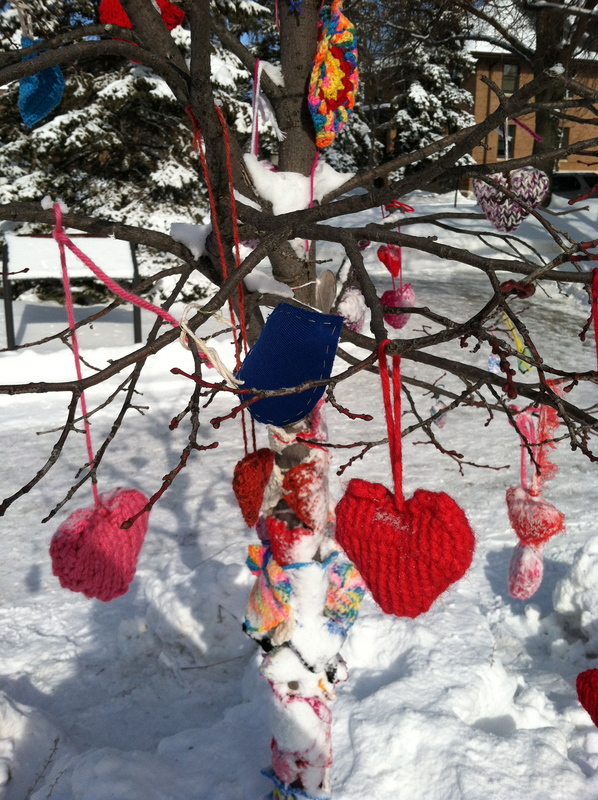 Mom and I visited Ojiketa Regional Park to check out Art Blitz. Then we went to Sunrise River Farm for apples and apple bread and apple butter. 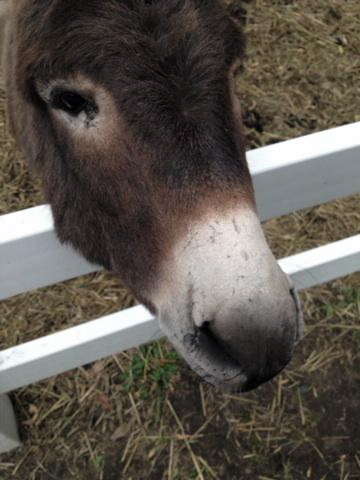 And I tried to scratch a donkey’s nose. He tossed his head away, disgruntled that I hadn’t brought a food offering for him. I guess I see his point. We all know that I have a terrible inferiority complex when it comes to meeting celebrities (even local ones). “Will they like me?” I think. “Can I trust myself to say something witty and endearing?” I think, sweating profusely. “What if I’m not dressed nicely enough to impress them?” I think, from a dead faint on the floor. It’s silly, and it doesn’t make much sense. We’re all people, after all. We’re all plodding through this wonderful, cruel maze that is The Human Condition. Celebrities just happen to have a marketable talent. Or are lucky enough to be in the right place at the right time. Or are really, really ridiculously good-looking. Or are hard workers. Or some combination of all four. 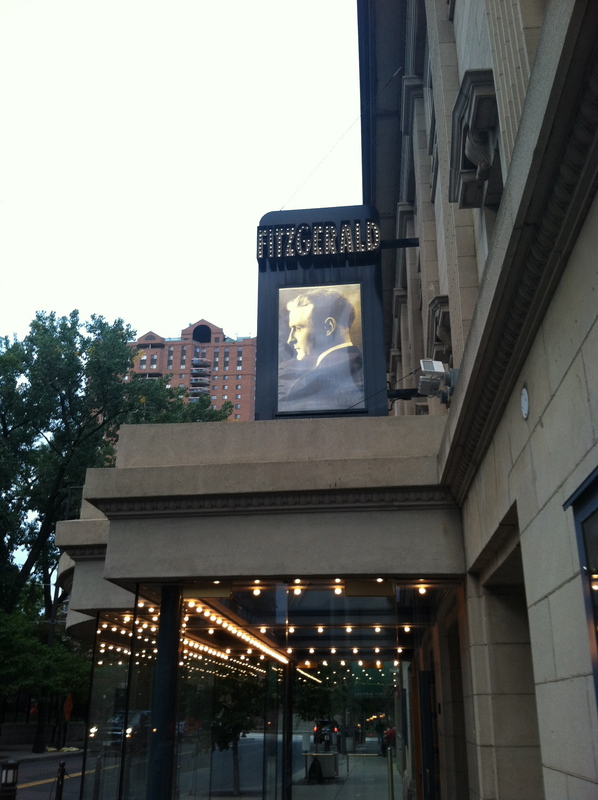 So when Wednesday night found me sitting in the sixth row at a Garrison Keillor poetry reading, I knew I was in for it. Here was a man whose voice I had literally been hearing through the radio for my entire life. My parents own a boat on Lake Superior, and some of my earliest memories are of hurtling through the northern woods on Sunday afternoons, listening to Guy Noir or News From Lake Wobegon and laughing whenever my parents laughed. Sometimes, uncomfortably full with the Happy Meals we had begged for for miles and miles (and which were somehow disappointing once actually opened and consumed), my sister and I would fall asleep in the backseat of the minivan to the sound of Mr. Keillor’s voice, and wake up at home. Garrison Keillor is perhaps the most important public figure of all, in the Minnesotan mind. He brought us–our church basement suppers, our bars and hot dishes, our passive aggression, our experience of being up at the lake or down on the farm or “in town,” our grandparents and parents and cousins–to the world. And sure, we’re not always so neurotic as A Prairie Home Companion portrays us to be. Nor always so poignant nor so musical. But the spirit of the show is right. 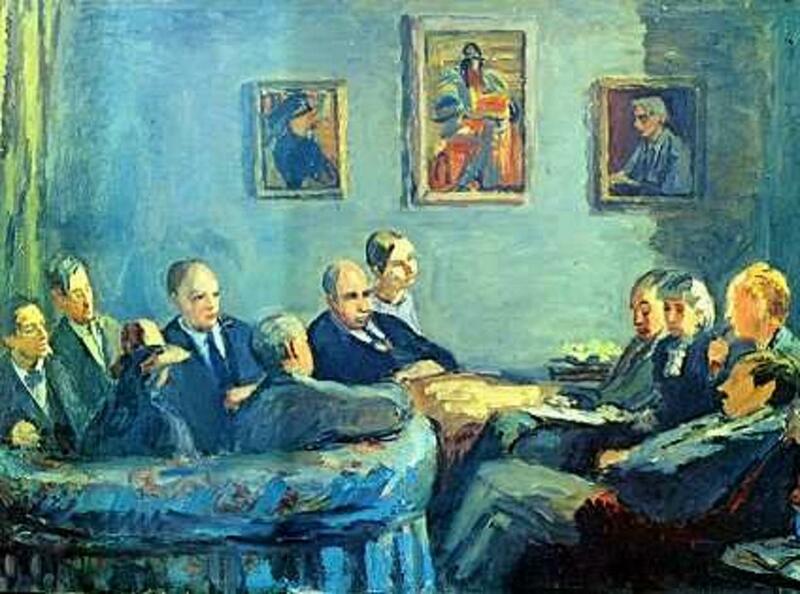 All of the sudden the poetry reading was over. The wide sheets of paper Mr. Keillor had read from were scattered on the floor. And Mr. Keillor himself was strolling down the stage steps, down the aisle, and out into the lobby, where, as he said, he would be happy to sign copies of O, What a Luxury and to chat. Mom and I joined the growing line, squashed in between an older woman who exclaimed that she was “just wild for E.E. Cummings” and a young couple tossing computer jargon–discs and codes and bytes–back and forth like a softball. Then we were at the front, and I silently handed my book to Mr. Keillor, deciding in a split second that perhaps I should just be quietly friendly and not attempt any conversation. He looked up, though, and jokingly commented on my mom’s hair, and then turned to me with an “what do you have to say for yourself, young lady?” expression. So I told him that I’m a recent graduate from the University of Minnesota. I’m going to end the conversation here, but note that there was some additional stuttering on my part before the exchange was over. Perhaps also some gushing to my patient mother during the drive home: “I can’t believe Garrison Keillor told me to send in my resume! I mean, it wasn’t exactly a promise of a job, but still. I’m going to have to write a cover letter right away. I think I’ll say something about listening to APHC as a kid, but I don’t want to ramble, you know, so I’ll have to be concise…” You get the idea. To conclude this saga, I think there’s a lesson to be learned: if we ever happen to develop a marketable talent; or are in the right place at the right time; or become really, really ridiculously good-looking; or increase our work ethic…in other words, if we become celebrities, let’s remember to be kind to stuttering recent graduates who ask for our autographs. Because it will mean a lot to them. For those of you who are new round these parts, and for those of you who are still hanging around: please note that the “About the Blog (And Me)” page has been updated. As in, I’m no longer pretending to still be in college. I have officially stated my graduation. As in, I have set up lots of links to some of my more…notorious…posts. As in, there’s still no photo of me because my goodness I struggle to take a nice selfie. We can’t all have that gift. In other news, I am currently working on taking ownership of this blog. Which means, essentially, that I’ll pay to host it separately from WordPress. I’ve been wanting to do this for a long time, this being to make Eight Days a Week into an independent blog. One of the major perks of this change will be that I can look into applying to be part of BlogHer, which is where all the female blogging powerhouses make their home. Don’t misunderstand me, I have little idea of what I’m getting myself into. I’m doing plenty of research, though, so that when the switch is made, you (the reader) will hopefully not be inconvenienced. I discovered this beaut in Target today. For the Fido who is watching his waistline. Bring him home the low-cal treat he really craves. And if the caloric statement isn’t enough to make you pause and raise your eyebrows into your hairline (it was for me), the grammatical error surely is. 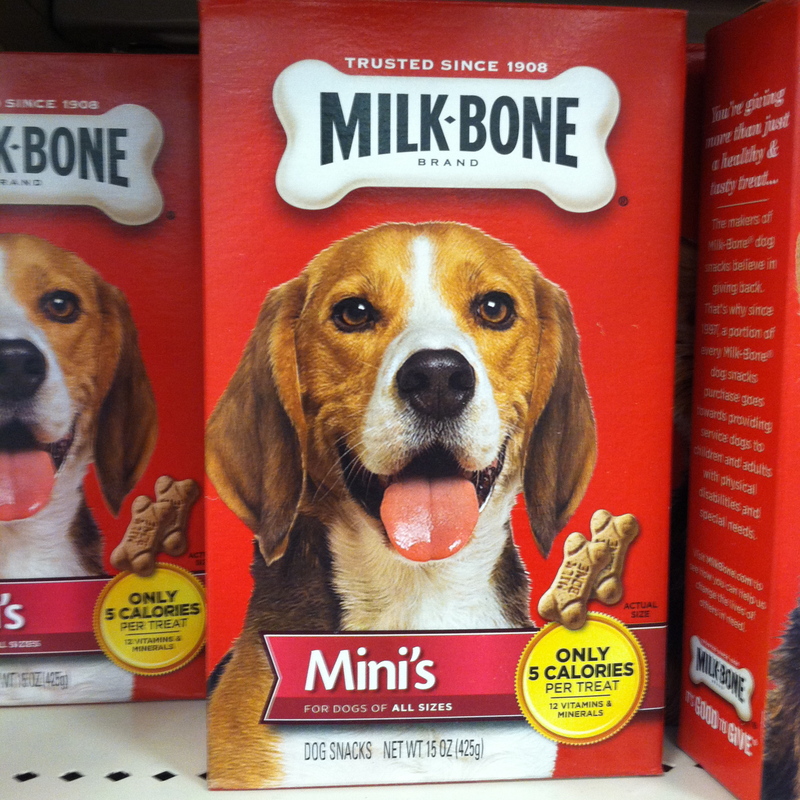 Because unless that happy Beagle’s name is Mini and she is the owner or creator of the portion controlled Milk-Bones, there should be no possessive involved. 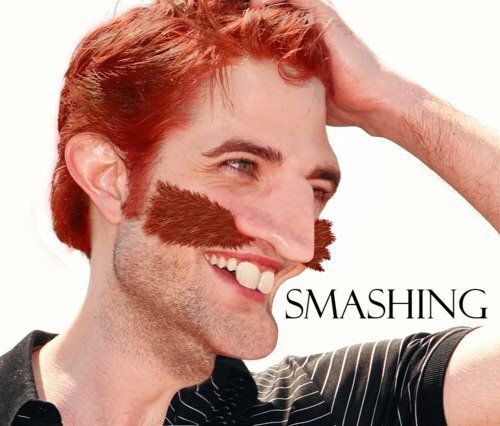 I cannot explain why Nigel Thornberry’s head placed on any body never ceases to be hilarious. It is simply so. Every single day of the year, The Writer’s Almanac website posts a poem and a series of “this day in history” stories (mostly related to writers). I’ve been an email subscriber for a few years now, and so my daily literary comfort arrives in my inbox at precisely 12:45 a.m. If you choose, you can listen to the recording (on the W.A. website or via iTunes podcast) instead of reading the page yourself. Garrison Keillor, lord of radio, narrates. I’ve read a great deal of literature concerning Nicholas and Alexandra and their family. I’ve been fascinated with them since a young age, and have consciously tried to learn everything I can about their story. That being said, it took me longer than it should have to get around to reading Massie’s take, especially since his biography is one of the most frequently cited. 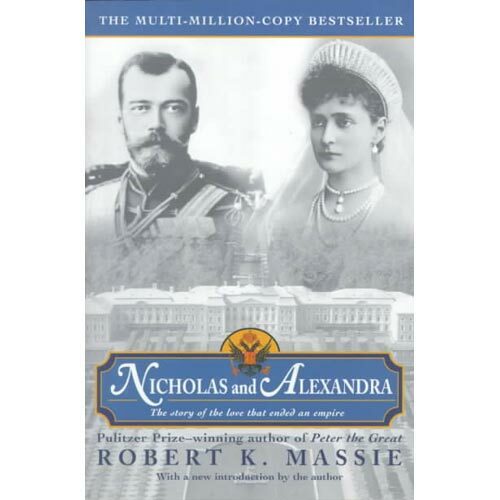 I’ve included Nicholas and Alexandra in my favorites because it is such an exhaustive account of N&A’s childhoods, their reign, the Russian Revolution, their abdication, and their deaths. Massie has a talent for writing about immensely complex events and people using plain, approachable style. I like that in a biographer. There were some things I didn’t like so much, however. Firstly, Massie’s determination to dramatically point out every bit of irony, coincidence, and “if only.” Secondly, the lack of attention given to the grand duchesses Olga, Tatiana, Anastasia, and Maria. I realize that since they weren’t able to inherit the throne, they were considered less important than their brother, but that’s exactly what has always made the grand duchesses fascinating to me: four beautiful, intelligent, über sheltered young women, murdered for no reason other than that they were the daughters of the former emperor and empress of Russia. It’s the worst part of the tragedy. I had not read the book. I was unprepared for Anna Karenina’s sudden and violent end. I shrieked aloud and immediately felt that the English major gods were ashamed of me for not having known what was coming. Admittedly, upon waking this morning and reading the Weather Channel’s description of the cool temperature and slight breeze, I bolted outside in my pajamas to confirm for myself. I appreciate every change of season as it comes, but there’s something about fall. Perhaps it’s the (lifelong, I suspect) association with a new school year, but summer to fall feels like the greatest shift of all. It feels like a shift that permeates not only the temperature and the leaf color, but people’s lives. Big things are afoot, my friends, for you and for me. Even if we don’t know what these big things are yet. What I have for you today, far from the promised materialism of Friday Favorites, are my writing “rules.” I typed these out last night instead of working on a short story. That’s right: I wrote rules for writing instead of actually applying the rules and writing. Though writing the rules was writing … just not the kind of writing I was thinking of when I wrote them. Right. Or write, if you’d prefer. Needless to say, I don’t actually believe that my writing rules should be your rules, or even that my rules apply to my writing all of the time (thus the obnoxious quotations around “rules”). But it was a surprisingly good time to think about how I write and how I’d like to write and how I live so that I might write. 1. Never show a first draft. No matter how encouraging your reader is, the brilliancy of your fragile baby draft will shrink in your eyes once you let another’s eyes judge it. Wait until a draft is as good as you can make it before you let people tell you how far it has yet to go. 2. When stumped, start over. And by start over, I mean start a new word document, entirely separate from the stump-inducing one. Retype the parts you liked on the old document, but do so without looking. This is how you find a new angle: via blank slate. 3. Find your writing power song and don’t be too proud to use it. Mine is “Briony” from the Atonement film score. Because of the typewriter sounds. Note: your power song does not need to be subtle. 4. Read your work out loud, even when you don’t want to, or are in public. You will always catch typos and icky-sounding syntax that you couldn’t possibly have otherwise. 5. Write down an idea, name, image, conversation the minute it strikes you. You will have forgotten it by the following morning otherwise. See “Marble Memo” post for my portable solution. 6. The power of mulling is highly underestimated. Not everything to do with writing has to do with the act of putting pen to paper or fingers to keyboard. Sometimes the solution to a plot tangle is to write until you get it right. Other times, you simply have to puzzle it out to yourself while circling the local roundabout intersection in your Subaru. 7. Even if you can’t take criticism well, learn to take it and then cry later. Because you need criticism. 8. Do things. Meet people. Be out in the world. Be afraid and uncomfortable and awkward and curious. Let it all filter into your writing. 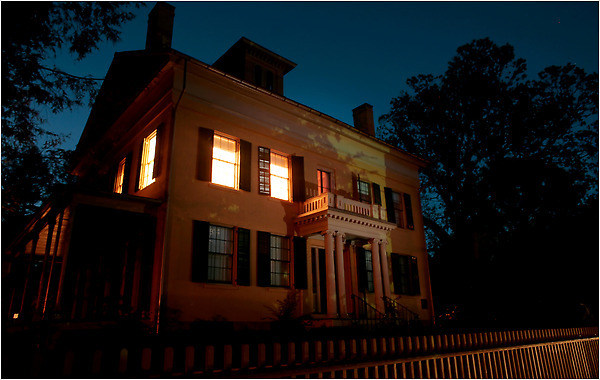 Emily Dickinson has dibs on the secluded attic writer, and goodness knows we couldn’t do it as well as her anyway. 9. Tell people you’re a writer. The title “writer” has nothing to do with publishing status or age or degree. If you love writing and do it often–whether for hobby or for career–then you’re a writer. Revel in the raised eyebrows that will often follow your proclamation. 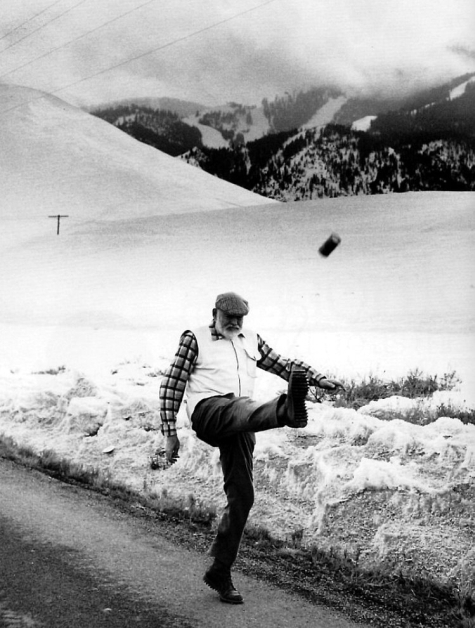 Don’t forget to adopt the Hemingway swagger as you walk away. 10. Let yourself be intimidated by the greats. Let yourself revel in their genius, regardless of who the greats are for you. For me, they’re primarily Scott Fitzgerald and Virginia Woolf. And they scare me and sometimes make me feel like I will never amount to anything because I don’t write like Scott Fitzgerald and Virginia Woolf. But they also make me proud to be part of this rowdy clan of crazy genius writers. 11. Write your own writing rules. Or know them, at least. Make some standards for yourself and stick to them. This is how we prove to those eyebrow raisers (and to ourselves) that what we do is as important and as “real” of a job as, say, accounting. If you do write your own writing rules, share them with me. Comment with the link. I’d love to read them. I was too late applying for a job today. The posting was still on the company’s website, but the deadline at the bottom was August 12th. I sent an email anyway, asking if the position had already been filled. And if not, if I could send my application and begin dedicating various lucky charms toward the cause. Sarah, who responded to my email, said in the friendliest way that the position had been filled, but that I should check back later. But what made me want the position badly enough to send that email in the first place was that applicants were asked to include–along with cover letter, resume, writing sample (the usual)–a list of their ten favorite pieces of contemporary literature. Let me tell you. I’ve applied for many a publishing job. At larger and more prominent publishing houses. But not one has asked me for such a list. This is strange, because it seems to me that for one to work in publishing, one must be first and foremost a reader. A crazed, midnight oil burning, Half Price Books residing, I can’t sleep until I know this character will be all right reader. Able to recite the red wheelbarrow poem on demand. Able to explain the origins of Samuel Clemens’ pseudonym without pause. Unable to use the term “Harry Potter English Major,” because, Good Lord, all readers are wonderful and miraculous and welcome. And we all have guilty secrets. The entire Twilight Saga is on my bookshelf right now. In hardback. I am not ashamed. But mostly, readers delight in such lists. That’s why, if I might be so brash, I’d like to make my list now. And to make it even thought August 12th is long past. Don’t think of this as my desperate plea for that job that got away. Think of it as the kind of opportunity I wait all year for. 1. Into the Wild. This book served as my introduction to creative nonfiction. It showed me that true stories could be told in literary prose. Jon Krakauer told us about Chris McCandless without presuming to know him. And more importantly, without presuming to criticize him. I like an author humble enough to give you the facts, set the scene, and then back off. 2. 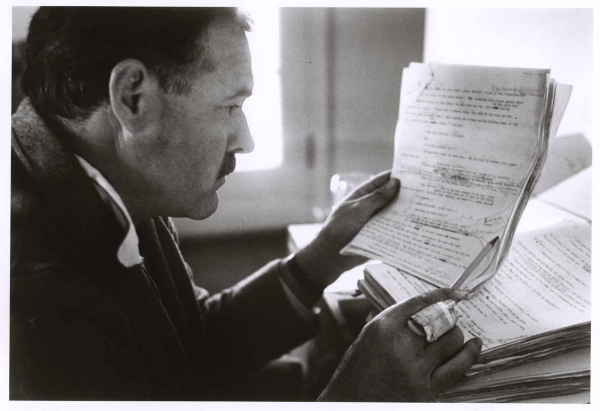 The Story of Edgar Sawtelle. Tell me how overdone Hamlet plots are and I’ll smirk and hand you this book. I haven’t yet been able to describe the plot without making it sound silly (it’s not) and as if it’s for young people (it’s not). The prose in Edgar Sawtelle is breathtaking. The story is set in the Chequamegon National Forest in Northern Wisconsin (my childhood stomping grounds). And I’ve never wanted to bring a character to life more than I’ve wanted Almondine to be real. Almondine is a Sawtelle dog. You’ll know what I mean when you read the book. 3. Never Let Me Go. I am not a professional reviewer. My adjective pool is somewhat shallow. The word flawless comes to mind, however. Heartbreaking. Eerie. Masterfully layered. I read this book when I need a lesson on how to reveal a world slowly, subtly. Expect the next three on my list in the next post. You didn’t think I wouldn’t prolong this delight, did you? Whew double negative. I’ll just leave that there.